In this recipe we call for it to be cooked at 135F which was the temperature we liked best. However, our test with the corned beef cooked at 146F was also very good. It was drier than the 135F meat but a more tender. Either temperature will result in fantastic corned beef. This is also wonderful when served with roasted potatoes, fresh bread, or a light salad. 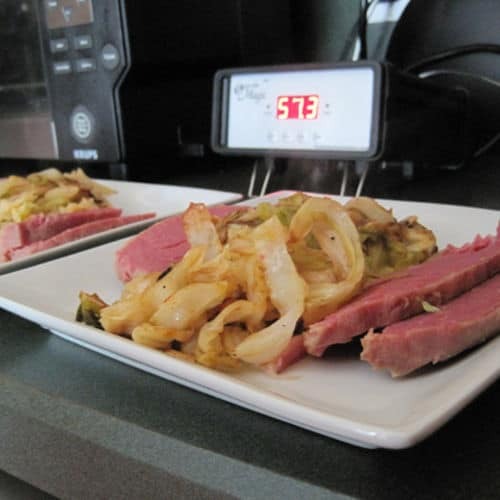 If you would like more information about the modernist techniques, ingredients, and equipment used in the Sous Vide Corned Beef and Cabbage you can check out the following.